Silver Shadow CBD > Blog > THC vs CBD > THC Vs. CBD: Why Isn’t CBD Psychoactive? When we are discussing psychoactivity and cannabis, we are exclusively dealing with CB1 receptors. They are concentrated within the central nervous system and brain. The difference between THC and CBD comes down to the fundamental difference in the way that each of them interacts with the CB1 (cannabinoid 1) receptor. CB1 cannabinoid receptors and THC bind well together. However, CBD has a low affinity for binding with CB1 receptors. This is where the two part ways. It is similar to an electrical plug that connects to the wall socket. The shape of a THC molecule is ideal for connecting with CB1 receptors. Whenever that connection occurs, THC stimulates, or activates, the CB1 receptors. THC is referred to by researchers as a CB1 receptor agonist, meaning the THC works to activate the CB1 receptors. Anandamide, which is a naturally produced neurotransmitter and called “the bliss molecule,” is partially mimicked by THC. Anandamide is a type of endocannabinoid that activates CB1 receptors. We have learned from animal studies that anandamide can increase the pleasure that is associated with consuming food and increasing appetite. It is also probably responsible for some of the rewarding effects that we receive from exercising (for example the “high” that runners get). Anandamide plays a role in pain, motivation, and memory as well. THC resembles anandamide so closely that it can activate CB1 receptors, which allows it to produce similar feelings of bliss. By contrast, CBD and CB1 receptors are not a good fit. CBD is an antagonist of the CB1 agonists. What that means is it doesn’t directly act to suppress or activate CB1 receptors – instead, it suppresses the CB1-activating qualities that a cannabinoid such as THC has. So when you ingest CBD and THC, the CB1 receptors are directly stimulated by the THC, whereas CBD modulates the THC. According to Martin Lee, co-founder of Project CBD, CBD opposes THC action at the CB1 receptors, which mutes THC’s psychoactive effects. How does this work in actual real life? Say that cannabis flower is vaporized with 24 percent THC. If this flower contains 0.2 percent CBD, then the THC will excite your CB1 receptors without hardly any CBD interference. You might feel very high and may also experience some of THC’s less desirable effects, like heightened paranoia feelings. However, if you consume cannabis that is 6 percent CBD and 24 percent THC, then CBD should dampen the THC’s effect. You will still feel high, but probably not as much, and also your paranoia should be kept in check by the CBD. There are significant political implications with the differences in psychoactivity. 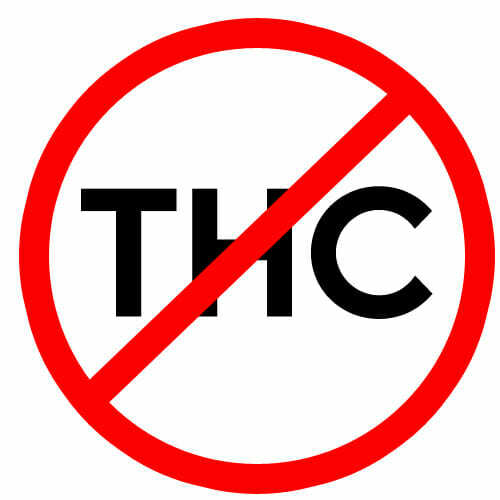 As has been noted by the Project CBD founders, some people have labeled THC mistakenly as the “bad cannabinoid” while CBD has been called the “good cannabinoid.” Many CBD-only laws have been passed by legislators in the Southern states to try to provide patients with access to this powerful cannabinoid and at the same time prohibiting THC. However, Raphael Mechoulam, who is a pioneering cannabis researcher, frequently talks about the “entourage effect,” which is the concept that terpenes and cannabinoids might work better together compared to in isolation. For example, GW Pharma’s Sativex is a drug that has been approved outside of the United States for treating MS-related muscle spasticity. There is almost a 1:1 CBD to THC ratio contained in Sativex. As researchers continue learning more about CBD along with the role that other compounds and cannabinoids play in treating conditions such as MS, we might be able to dose CBD more accurately in combination with other kinds of cannabis-derived compounds.